Rev. Michael E. Fromes, CSV, the assistant pastor at Maternity BVM Church, in Bourbonnais, Illinois, died May 19, 1960 in St. Mary’s Hospital, Kankakee. The 53-year old priest collapsed from an apparent heart attack while preaching a Lenten sermon on March 30, and passed away less than two months later. Fr. Fromes was born in Hastings, Minnesota, on December 7, 1906. 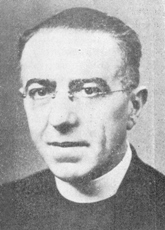 He was a member of St. Catherine of Genoa Church in Chicago, before entering the Clerics of St. Viator in 1933. 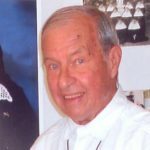 He pronounced his first vows at Lemont, Illinois on January 26, 1934 and was ordained a priest on February 10, 1938 at the Immaculate Conception Shrine at Catholic University of America, Washington, D.C.
During his early years with the Viatorians, Fr. Fromes earned many advanced degrees. His studies included terms at St. John’s University in Collegeville, Minnesota, St. Joseph’s College in Rensselaer, Indiana, St. Gregory Seminary in Cincinnati, St. Viator College in Bourbonnais and Catholic University of America. Fr. Fromes’ teaching assignments with the Viatorians included Cathedral Boys High School in Springfield in 1934, St. Philip’s High School in Chicago, 1936-37, and Presentation Junior College in Aberdeen, South Dakota, 1958-59. 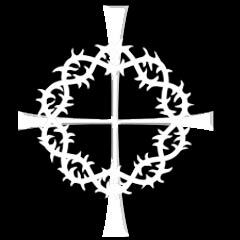 He also fulfilled chaplaincies at Municipal Tuberculosis Hospital in Chicago, Mercy Sanitarium in Dyer, Indiana, Mother of Sorrows Institute in Blue Island, IL and Presentation Convent, in Aberdeen, South Dakota. Fr. Fromes’ parochial work went beyond his role in Bourbonnais. He was assistant pastor at St. Joseph’s Church in Springfield, Illinois from 1938-1951, and he assisted at Holy Trinity Church in LaCrosse, Wisconsin and at St. Rose Church in Kankakee. The funeral was held at 11 a.m. on Monday, May 23 at Maternity BVM Church, Bourbonnais, with the Most Reverend Martin D. McNamara, Bishop of Joliet, presiding. Fr. Bernard G. Mulvaney, CSV, assistant general of the Viatorians, celebrated the requiem Mass, while Fr. James Meara, CSV, chaplain at Municipal Tuberculosis Hospital in Chicago delivered the sermon. Burial was in the Viatorian plot in the Queen of Heaven Cemetery, Hillside, IL. Fr. Fromes was survived by a sister, Mrs. Elizabeth Gardner and a niece, Mrs. G. Korzenecki.